The ports featured on the back of the ASRock P67 EXTREME4 GEN, the motherboard recommended for Tier 2 of the Entry-Level Workstations. These are the Entry-Level Workstations. The Mainstream Workstations will be updated at the end of February 2012. The High-End Workstations will be updated in March 2012. Which Tier and upgrades do you need? Why choose a Workstation Build? Be your workhorse for your work and livelihood. All the Workstations offered on Hardware Revolution are designed with professional work in mind. Parts are hand-picked based on their reliability, performance and cost-effectiveness. Instead of having several articles that each cover one specific build, there are Tiers, allowing you to pick one of several systems at broader price points. This Tier is our least expensive Workstation. Equipped with an Intel Core i5-2500 3.3-3.7GHz Turbo quad-core processor and 8GB of RAM. Tier 2 takes performance up a few notches compared to Tier 1, by featuring the Intel Core i7-2600 3.4-3.8GHz Turbo Quad-Core, which has Hyper-Threading, unlike the Core i5-2500 featured in Tier 1. It also features more RAM, 16GB to be exact, as well as a dedicated video card, in the form of the Geforce GT 520. Which Tier and which upgrades do you need for your workload? – Sound Forge: Dedicated sound card recommended. – Visual Studio / Rhino3D: Consider a RAID 10 array, an hybrid HDD/SSD or a SSD if you work with large files that read/write a lot to the disk. A basic video card (see Tier 2) will help speed up the UI and free the CPU from some tasks. – Sage Timberline Office: Go with Windows 7 Professional or Ultimate; apparently the Home Premium edition will give you problems with networking. – CorelDRAW Premium Suite X5: A basic video card (see Tier 2) is recommended for video editing. – Bitcoin, GPGPU, [email protected], SETI, GPUGRID, BOINC, etc. : These programs will run best on a powerful GPU, so get the most powerful video card that you can afford. The following apps will greatly benefit from additional CPU processing power, so I recommend upgrading the CPU to the Intel Core i7-2600 or simply go with Tier 2. For even higher performance, consider the upcoming Mainstream Workstations with an Intel 6-core CPU or the High-End Workstations with two CPUs. – Pinnacle Studio 12 and Sony Vegas 9/Pro: A dedicated video card is a must. – Cinema 4D: A dedicated video card is a must and this is an application which scales very well when you add performance to your PC, meaning that the better that are your parts, the faster that your renderings will be completed. I’d go with a Geforce GTX 560 1GB (Consumer video card) or a Quadro 2000 (Professional video card) as a baseline for great performance at a good price. I also recommend upgrading the CPU to a Core i7-2600 for improved performance. However, keep in mind that performance will benefit even more by going with the $1250 Workstation. – Nvidia CUDA: This requires a Nvidia video card. – Pro/ENGINEER Wildfire 5.0 and Autocad programs: For Autocad programs, you’ll want a professional level video card, such as AMD Firepro or Nvidia Quadro. Running two or more applications simultaneously? For two or more applications running simultaneously, you’ll want to upgrade to Tier 2 for better performance. However, keep in mind that if do work on both applications at the same time (i.e. you let one app do its work in the background while you work on another app), this will most likely cause slowdowns, even with the i7-2600. If your budget allows it, I recommend going with a Mainstream Workstation or better yet, a High-End Workstation to handle several applications at once for optimal performance. Adobe Applications: Creative Suite 5 Master Collection, Photoshop, Premiere Pro, After Effects, Lightroom, Illustator, Indesign, Bridge, Bibble, Flash, Dreamweaver, etc. There are a lot of people out there who use those applications, in various ways. If anything, you’re the one who’s using your workstation and who knows the best how demanding (or not) your work is. For example, working with very large images (High-MP RAW, 16-bit, Hundred of MBs or several GBs each) is obviously much more demanding than working with smaller pictures (10-15MBs each from an entry-level DSLR for example). I say pictures here, but this also applies in the same way to video, 3D, audio, designing, modeling, etc. An Entry-Level Workstation, with Tier 1 or 2 hardware, will handle one or two Adobe applications at once, will be capable on handling a moderate amount of work with a lot of small files, a moderate amount of medium files and some large files, how many depending on the files size and what exactly you do with them, at an acceptable level of performance. For example, with Photoshop, expect Tier 1 to be capable of handling up to sixty small (10-15MB + Editing) files or 10-15 (50-75MB + Editing) medium files at once or so before your PC will start slowing down. Upgrading to Tier 2 will help you handle even more files. Several Adobe apps (i.e Premiere Pro CS5, After Effects and Photoshop) support Nvidia CUDA hardware acceleration; consider a Nvidia Geforce or Quadro Video Card to improve performance. If you’re starting out as a semi-pro photographer and an entry-level DSLR, these Workstations will suit your needs, at a low-cost. However, if you’re a pro photographer who works with a high-MP camera, with RAW, HDR, 16-bit pictures and the like, I invite you to look into the upcoming Mainstream Workstations instead. Once again, I’m using pictures/photographers as an example, but this applies to other professionals using Adobe applications too. Do you need clarifications or are you using other programs? Are you using another program that you’d like to know if it would run well on an Entry-level Workstations or would require upgrades or a more powerful Workstation? Do you need clarifications regarding what hardware would be best for your needs? Simply leave a comment at the end of this article and I’ll get back to you with my recommendations for your specific needs. 1. Recommended Components are in Bold, with one or more colors/symbols for the Tier(s). 2. Suggested Alternatives and Upgrades are in Italic. You can upgrade as many parts as you want to, including parts from higher Tiers. 3. All Parts are interchangeable/compatible with each other, unless indicated otherwise. Post a thread on the forums if you want us to double-check your build. Click on a component’s name (e.g. CPU) to jump to its detailed section. Building this System, Got a Question, Need Help? – Who are you to tell me which parts to choose? – Can you suggest me a step by step guide to build a computer? – Why should I build a PC instead of buying one in a store? 2. Is this your first build? Here are 10 Quick Tips for 1st Time Builders to get you started. 3. Newly built computer won’t start? I invite you to read Help me: Why won’t my newly assembled PC start or boot? 4. Visit our forums here, where you can join our helpful community and ask questions. If you have any question(s) about the build, simply head over to the forums and our community will be there to assist you. If you want to have your final build double-checked and get my opinion on it before ordering, or for anything else, don’t be shy, just post a thread on the forums. For Tier 1 of the Entry-Level Workstations, I went for the ASRock Z68 Extreme 3 Gen 3 as my recommendation, as it is a reliable motherboard with nearly 90% 4 or 5 eggs reviews. Based on Intel’s Z68 chipset, that features a large variety of ports capable of handling the majority of your devices, as well as support for the integrated Intel HD IGP, for video output without needing a dedicated video card. Mind you, you can also add a dedicated video card without any problem. – A full-size ATX motherboard with more expansion slots. – The Z68 chipset, which allows for CPU overclocking. – Support for up to 32GB (4x8GB) of RAM. – Finally, this motherboard is PCI-Express 3.0 ready and is compatible with Intel next generation of CPUs, Ivy Bridge. You’ll just need a BIOS update before upgrading to Ivy Bridge after it comes out. So far, rumours are pointing out to a April 2012 launch. Do note that PCI-Express slots run at PCI-Express 2.0 with a Sandy Bridge processor and will run at PCI-Express 3.0 with an Ivy Bridge CPU. The only downside to this motherboard is the somewhat limited cooling for the CPU voltage regulation, so if you intend to overclock your CPU, I recommend upgrading to the motherboard below, which feature improved cooling for the CPU voltage regulation, for improved CPU overclocking potential. Ports, expansion slots, features, what’s included in the box, etc. Ports on the back: 4x USB 2.0, 2x USB 3.0, One PS/2, HDMI, VGA, DVI, 10/100/1000 Mbps RJ-45 LAN, Clear CMOS button, Optical S/PDIF and 5 audi0 ports (for 7.1 sound). Expansion slots: Two PCI-Express 2.0 (3.0 with Ivy Bridge CPU) 16x slots (8x, 8x). Two PCI-Express 1x and two PCI slots. Other connectors/features on the motherboard: Six fan connectors (Two 4 pins, four 3 pins), two SATA 6.0Gb/s, four SATA 3.0Gb/s, IR and COM ports, Debug LED, power and reset buttons, three USB 2.0 headers (for up to six USB 2.0 ports coming from the headers in total) and support for LGA775/LGA1155/LGA1156 CPU Coolers. Included in the box: Motherboard, three SATA cables, Molex to SATA power adapter, Rear I/O panel shield, manual and CD. In my opinion, the ASRock P67 Extreme4 Gen 3 has the best set of features overall. PCI-Express 16 3.0 support: One of a few select motherboards that will support Generation 3 PCI-Express 16x slots, when used with the future Intel Ivy Bridge CPU (Coming March 2012 according to the latest rumours) which means that it’s more future-proof as it won’t be a bottleneck to future generation of video cards that demand more bandwidth. A PCI-Express 1x slot that is located above the top PCI-Express 16x slot, allowing for a dedicated sound card without reducing the airflow to the top video card. A USB 3.0 header and an included 2 x USB 3.0 bracket that can installed in an external 3.5″ bay or on a free PCI bracket. PS/2, FireWire, E-SATA and USB 3.0 ports, as well as a Clear CMOS button, are all located on the back of the motherboard. The Clear CMOS button alone is hugely useful when you overclock and need to clear the CMOS. No more need to move a jumper, which is a pain compared to using a simple button. Power and Reset buttons on the motherboard, allowing you to easily test your PC outside your case. Top-notch power delivery cooling, allowing for even more CPU overclocking than the Tier 5 motherboard. Ports on the back: 2x PS/2, 6x USB 2.0, 2x USB 3.0 (Two more are included with the USB 3.0 header + 2 x USB 3.0 bracket), FireWire, E-SATA, 10/100/1000 Mbps RJ-45 LAN, 5 audi0 ports (for 7.1 sound), Coaxial + Optical S/PDIF Out and finally, a Clear CMOS button. Expansion slots: Two PCI-Express 3.0 16x slots (single at 16x or dual at 8x/8x), one PCI-Express 16x 2.0 (running at 4x), two PCI-Express 1x and two PCI slots. Other connectors/features on the motherboard: Six fan connectors (Two 4 pins, four 3 pins), four SATA 6.0Gb/s, four SATA 3.0Gb/s, FDD, power and reset buttons, 4-pin Molex connector for additional power for the PCI-Express slots, USB 3.0 header (to be used with included bracket), three USB 2.0 headers (for up to six USB 2.0 ports coming from the headers in total), FireWire header, LED debug, SLI/Crossfire support (obviously) and support for LGA775/LGA1155/LGA1156 CPU Coolers. Included in the box: Motherboard, four SATA cables, two Molex to SATA power cables, 3.5mm audio cable, SLI dongle, USB 3.0 3.5″ bracket (as well as an included PCI bracket, if you prefer to put the USB 3.0 ports in a free PCI bracket. ), FDD cable, manual and CD. $175 – ASRock Z68 Extreme4 Gen3 VGA/DVI/DP/HDMI SATA6Gb/s USB3 Max 32GB – This motherboard is very similar to the Tier 2 recommendation, except that it’s based on the Z68 chipset. To consider if you want to use the Intel IGP. 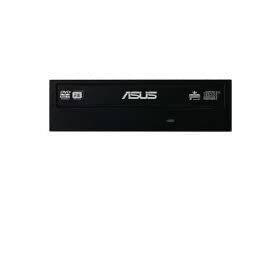 $210 – ASUS P8Z68-V PRO/GEN3 Z68 Bluetooth E-SATA SATA 6Gb/s USB 3.0 ATX – Another great alternative, with plenty of ports on the back, includes a Bluetooth dongle. Intel current generation of CPUs, known under the codename SandyBridge (SB from here on) is here. Replacing Intel’s LGA1156 Clarkdale (Known as Core i3/i5/i7 3xx, 5xx and 8xx) CPUs, the LGA1155 based SB CPUs (Known as Core i3/i5/i7 i2xxx) bring in a 10%-50% performance improvement and lower power consumption, compared to the previous-generation of LGA1156 Clarkdale CPUs. Overclocking: With the previous generations of Intel CPUs, to overclock, all you had to do was to raise the BCLK (baseclock) or FSB frequency, until you reach the limit of your CPU and/or motherboard and/or cooling solution. With SandyBridge, this is no longer the case: the 6-series chipsets integrate the clock generator. What once was a component on the motherboard, the PLL is now on the 6-series chipset die. The integrated PLL feeds a source clock to many other controllers (e.g. SATA) to the CPU itself. The problem will that is if you if you raise the BCLK frequency, you will also raise the frequency of many other controllers and that will cause your PC to crash. So forget overclocking via the BCLK. If you have a CPU that offers no Turbo mode (e.g. Core i3-2100), then you can’t raise the multiplier at all and thus can’t overclock. In short: Your CPU is completely locked. If you have a CPU with Turbo modes (e.g. Core i5-2500), you can overclock, but just a bit, using a motherboard equipped with a P67 or Z68 chipset. In short, you are limited to an overclock of 4 processor bins above and beyond the highest turbo frequency. See the picture below for details. In the picture above, we’re looking at a Core i5-2500, which runs at 3.3GHz by default. When a single core is active, the chip can turbo up to 3.7GHz. If you want, you can change that turbo state to go as high as 4.1GHz. Overclocking these chips relies entirely on turbo however. In the case above, the fastest your chip will run is 4.1GHz but with only one core active. If you have four cores active the fastest your chip can run is 3.8GHz. Makes sense? Finally, there’s the K-series of CPUs, with the Core i5-2500K and Core i7-2600K currently available. These chips are fully unlocked and will let you overclock them as far as the CPU and/or your cooling can sustain. Now that I’ve quickly explained SandyBridge (See AnandTech full review of SandyBridge for more details) to you, let’s compare the Core i5-2500 to the competition and let me explain why I picked it as my recommendation. The Core i5-2500 wins the majority of test and is particularly outstanding in video game tests, according to AnandTech. The Core i5-2500 costs $60 less than the FX-8150. The Core i5-2500 uses close to 100W less at load, according to AnandTech. If you want to overclock the Core i5 2500, the $237 – Intel Core i5-2500K Quad-Core 3.3-3.7GHz (Turbo) 95W LGA1155 Unlocked Multiplier K variant is the way to go, with its unlocked multiplier. Needless to say, you’ll need a serious CPU Cooler to get the most out of it. 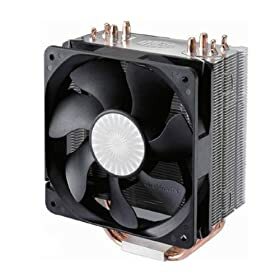 I recommend the $60 – NZXT Havik 140 Dual 140mm fans CPU Cooler , as it’s relatively well priced for such a good CPU Cooler that can handle a good overclock without becoming too noisy. It comes with Hyper-Threading, enabling it to perform significantly faster than the Core i5-2500 in heavily threaded workloads, such as audio/image/video editing, 3D rendering and more. See how the Core i7-2600 compares to the Core i5-2500 here. The Core i7-2600 outperforms the FX-8150 in the majority of test, according to AnandTech. The Core i7-2600 uses close to 75W less at load, according to AnandTech. If you want to overclock the Core i7 2600, the $315 – Intel Core i7-2600K Quad-Core 3.4-3.8GHz (Turbo) 95W LGA1155 Unlocked Multiplier K variant is the way to go, with its unlocked multiplier. Intel recently launched the Core i7-2700K, which is basically a Core i7-2600K with a 100MHz speed bump and oh, a $55 price bump too…I do not recommend it, considering that you could simply bump the multiplier up on the Core i7-2600K and save yourself a cool $55. Cherry-picked CPU with better overclocking potential? Hard to say. Some say that it overclock better than the Core i7-2600K, being a “cherry-picked” CPU from Intel and being capable of reaching 5GHz more easily and with less voltage. However, those claims are hard to verify and considering that the Core i7-2700K is based on the same stepping as the Core i7-2600K, I’m at best skeptic about those claims. Even if did overclock better than the Core i7-2600K, is an extra 100-200MHz, when you’re running it at 4.6-5.0GHz, really worth an extra $55 over the Core i7-2600K? I’m inclined to say no. While the 95W TDP of the Core i5 and i7 recommended in this guide, compared to the 65W TDP of the Core i5 and i7 S series, might make you believe that the S-series of CPUs consumes 30W less, real-world results proves this wrong. As a matter of a fact, the S-series only consume 10W less or at best, 15W less under full load and consume about the same at idle. Hardly enough to justify the lower performance from the lower frequencies and the higher cost of the S series of CPUs. Integrated on the motherboard, this video chipset offers video output via VGA, DVI and HDMI. It supports full HD 1080p video playback, Blu-Ray and more. Note that you need to use the HDMI or DVI and the VGA outputs to handle two displays. Integrated on the CPU, this video processor offers different video outputs, depending on the motherboard that you pick. It supports full HD 1080p video playback, Blu-Ray and more. It is capable of handling up to two monitors at the same time. On the ASRock Extreme 3 Gen 3 Z68 motherboard, you get VGA, DVI and HDMI outputs. On the ASRock Extreme 4 Gen 3 Z68 motherboard, you get VGA, DVI, DisplayPort and HDMI outputs. Powerful enough to accelerate Photoshop, Premiere Pro CS5, After Effects, Visual Studio, Rhino3D, CorelDRAW, Pinnacle Studio 12, Sony Vegas 9/Pro and many other applications. The best bang for your buck if you want a sub-$50 dedicated video card. Also recommended if you need a simple video card for a motherboard that requires a dedicated video card or if you desire superior performance to the integrated video processors. Just like a basic dedicated video card, these are powerful enough to accelerate Photoshop, Premiere Pro CS5, After Effects, Visual Studio, Rhino3D, CorelDRAW, Pinnacle Studio 12, Sony Vegas 9/Pro and many other applications. Of course, these are more and more powerful as you scale up and go for higher-end models. On top of that, these are ideal for casual gaming. $90 – PNY Geforce GT 440 96SPs @810MHz 1GB DDR5 VGA/DVI/HDMI – A great step-up over the GT 520, with twice the Shader Processors (SPs). Powerful enough to handle older games or newer games at a low resolution (1440 x 900 or lower) or with low graphic details. $130 – MSI Geforce GTX 550 TI 192SPs @950MHz 2xDVI/Mini-HDMI 1GB DDR5 – Twice the SPs of the GT 440, a great card to handle modern games at a moderate resolution (1440 x 900) with decent level of graphic details. $190 – EVGA Geforce GTX 560 336SPs @ 850MHz 1GB DDR5 2xDVI/Mini-HDMI – Yet another big step-up over the previous choice, with 336 SPs this time. Ideal for gaming at 1680 x 1050. Capable of handling 1920 x 1080 with reduced graphic settings too. $240 – EVGA Geforce GTX 560 Ti 384SPs @ 900MHz 1GB DDR5 2xDVI/Mini-HDMI – Good for gaming at 1920 x 1080, although you’ll have to reduce the graphic details in more demanding games. $290 – EVGA GeForce GTX560 Ti 448SPs @ 797MHz 1280 MB DDR5 2xDVI/HDMI/DP – Capable of handling the most demanding games with high/ultra details at 1920 x 1080. Nearly as powerful as the GTX 570, but at a much better price. Why am I recommending Nvidia cards only? Simply put, many applications are accelerated via CUDA, a Nvidia exclusive. Also, overall, Nvidia tend to offer better drivers/support for professional applications. What applications benefit from or truly need AMD Firepro or Nvidia Quadro Cards and what’s the difference between consumer cards (Radeon/Geforce) and professional cards (FirePro/Quadro)? Professional cards are about exact pinpoint accuracy rendering for things such as vehicles, buildings, contraptions, etc. designs. Think about many moving parts working together for an engine prototype….things where a millimeter off could mean hundreds of thousands of dollars lost or worse death. They are tools for professionals, and if you really need one you’ll know it. Consumer cards are built for speed at the cost of accuracy, seeing as gaming rendering need to be fast, not perfectly accurate. Workstation cards are the opposite, they need to be perfectly accurate at all times, performance matters yes but not over accuracy. Professional cards differ from consumer cards with their lower power consumption, ECC memory (expensive, but prevents errors from the memory) as well as very robust and detailed driver support. The drivers are really where the bulk of the expense comes from, seeing as they have to work and have to work well. I mean, we gripe and moan about bugs in video games…Imagine when the drivers are holding you back from completing work and earning your livelihood! It cost money to offer that level of support and it costs money to make money and/or move things forward to a large degree, great designs aren’t doodled out on a napkin in a country diner anymore. There are many products out that scale the same way, look at cameras, if you compare a $200 point and shoot for the family trip to disney world or the $5000+ DSLR used to shoot what we see in magazines and such, the latter has higher quality components, can take more abuse, offers higher quality pictures and it delivers them when it matters. Back to the video cards: A lot of professional level applications will work to a degree on consumer cards (with some hacking and tweaking), but thats more like an artists sketch pad: good for practice and education, or proof of concept work but nothing mission critical. For most professional applications, key features are disabled and there is no formal support unless a proper card is being used. Also, performance in some cases can be severely limited. Not to mention the lack of accuracy. “Workstation card core chips are mostly identical to the consumer grade stuff (except for the memory controller), but everything around it is usually made of much higher quality components. The heatsinks, fans, power delivery components, PCB, etc. are made of higher grade materials, the list goes on. Thanks to our reader EBOBO and the folks on the forums of DesktopReview.com for that great explanation. Other than that, Quadros and Firepros have optimizations in their drivers for various specific applications as well for the usual workload that a Workstation will be used for. These optimizations are only activated when a Quadro or Firepro is detected. Performance wise, the latest Quadro line-up (Quadro 600, 2000, 4000, 5000 and 6000, avoid the older FX series) has the edge over the FirePro series. Drivers wise, this is also the case, with Nvidia drivers being more stable, Quadro cards supported by more applications and finally, their drivers are more optimized for greater performance in some applications. While the AMD FirePro line-up of cards can be an interesting alternative thanks to their relatively low cost, they are just not supported by as many applications as the Nvidia Quadro line-up cards are. Needless to say, I’m sure that you’ll want to get top-notch performance all over the place in all apps, including Adobe apps and top-notch drivers, hence why I only recommend Nvidia Quadro cards in this build, when it comes down to professional cards. $161 – PNY Nvidia Quadro 600 96 CUDA Cores 1GB 128-bit DDR3 1xDVI 1xDP – The Quadro 600 is the lowest cost option that you should get, as it offers quite a bit more processing power than the Quadro 400, while not costing much more. Mind you, it’s still limited by having only 96SPs, so don’t expect out of this world performance. Consider the Quadro 2000 1GB as my minimum recommendation, if you can afford it. In my opinion, for the handle typical workloads, especially in the long-run, you’re better off with the Quadro 2000 1GB. $424- PNY Nvidia Quadro 2000D 192 CUDA Cores 1GB 128-bit DDR5 2xDVI – The Quadro 2000 is my minimum recommendation that you should get, as it offers twice the processing power of the Quadro 600. If you can afford it, in my opinion, for the handle typical workloads, especially in the long-run, you’re better off with the Quadro 2000 1GB than the Quadro 600. $424- PNY Nvidia Quadro 2000 192 CUDA Cores 1GB 128-bit DDR5 1xDVI 2xDP – This card offers identical performance as the same Quadro 2000D above, the only difference being the output ports: The 2000D (above) offers two DVI outputs, while the 2000 offers one DVI and two DisplayPorts outputs. $729 – PNY Nvidia Quadro 4000 256 CUDA Cores 2GB 256-bit DDR5 1xDVI 2xDP – Moving up from the 2000 to the 4000 will bring in about 30% more processing power and twice the RAM. There’s also a Quadro 5000 and 6000. However, considering that they alone respectively cost over three and eight times the budget for this build, it makes no sense to recommend them here. Besides, I’d recommend upgrading to a Mainstream Workstation first, in order to be capable of fully taking advantage of the processing power offered by the Quadeo 5000 and 6000. The vast majority of video cards on the market support two monitors. If you need support for three to six monitors, see my recommendations below. If you need support for more than 6 monitors, simply buy as many video cards as needed. For example, if you need support for 18 monitors, get three PowerColor Radeon HD 6870 Eyefinity 6 cards, with each of them featuring 6x Mini Displayport ports. With the two following cards, use the two DVI ports on the card as well the included HDMI-to-DVI adapter and you’ll have three DVI outputs, capable of handling three monitors with a resolution up to 1920 x 1200. The $120 – SAPPHIRE Flex Radeon HD 6770 1GB supports 3 DVI monitors out of the box and a 4th one with an active Displayport to DVI (or VGA) active adapter. The $200 – Sapphire Radeon HD 6870 1GB Flex Supports 3 monitors out of box supports 3 DVI monitors out of the box and can support a 4th and a 5th one using active Mini Displayport to DVI active adapters. The following two cards feature Mini Displayport ports. Make sure to buy the necessary adapters to support your monitors setup. The $120 – XFX Radeon HD 6770 1GB 5x Mini Displayport features five Mini Displayport ports. Note that it doesn’t include any adapter, so you’ll have to buy any adapter that you’ll need. The $290 – PowerColor Radeon HD 6870 2GB Eyefinity 6x Mini Displayport has six Mini Displayport ports. The card includes two Mini Displayport to HDMI adapters, as well as four Mini Displayport to Displayport adapters. Do note that it’s crucial to use active adapters. Passive adapters only works when using a single or dual monitors setup. Now, note that each Sapphire Flex card only has a single dual-link DVI port, for monitors using a 2560 x 1600 resolution. If you have more than one monitor that uses such a high resolution, you’ll need to use this $91- Accell B087B-003J Mini DisplayPort to DVI Dual-Link Adapter for each additional 2560 x 1600 monitor. Of course, if you have monitors with Displayport connections, you can simply connect it directly if your video card has a Displayport port, or you can use mini Displayport to Displayport adapters if the video card comes with mini Displayport ports. Confused about what you need to run your multiple monitor setup? Don’t worry, I understand that all of this can be rather confusing. Just leave a comment at the end of the article, clearly describing the multiple monitor setup that you want to run and I’ll tell you what you need. Make sure to tell me at least how many monitors you have and their brand/model. Preferably, also mention their resolution and which inputs (VGA/DVI/HDMI/Displayport) they accept. 8GB of RAM is the minimum that you’ll want to handle the latest programs, especially when you have several files open at once or when you work with high resolution images or videos for example. Not to mention Windows and background background such as your anti-virus, web browser, music/video player, etc. all use a considerable amount of RAM. I went with these G.Skill sticks for their high reliability, compatibility with the majority of motherboards and low price. $47 – Corsair 8GB (2 x 4GB) DDR3 1600MHz CAS 9 1.5v – Same quantity of RAM, but with higher frequency at 1600MHz, slightly improving performance in applications that are memory intensive. For Tier 2, I recommend 16GB of RAM. 16GB of RAM will allow your PC to handle more applications at once without slowing down, as well as handle larger files/projects without any problem. It will also make your PC more future-proof, seeing as programs always use more RAM as time goes by. 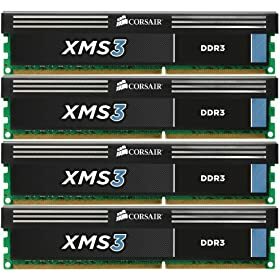 $80 – Corsair 16GB (4 x 4GB) DDR3 1600MHz CAS 9 1.5v – This is the same quantity (16GB) of RAM as Tier 2, but running at a higher 1600MHz frequency, slightly improving performance in applications that are memory intensive. 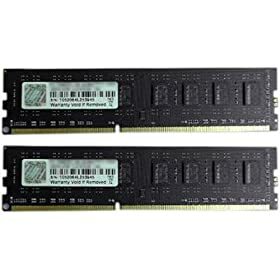 $350 – Mushkin 32GB (4x8GB) DDR3 1333MHz 1.5v – If you need a LOT of RAM, or simply want to be more than future-proof, this is a 32GB kit, composed of four sticks of 8GB each. Need more than 32GB of RAM? In that case, I recommend looking into the upcoming Mainstream Workstations, which will be able to handle up to 64GB of RAM, or the uHigh-End Workstations, which will be able to handle even more RAM. Who said that a entry-level build meant a slow hard drive with a low capacity? With 500GB, the Seagate Barracuda 500GB ST500DM002 offers plenty of storage capacity and it is known as the fastest, one of the most reliable, consumer hard drive available on the market. $240 – Seagate Momentus XT 750 GB 7200RPM SATA 6Gb/s 2.5″ Hybrid Hard Drive – It looks like a standard 2.5″ hard drive, except that it has 8GB of SSD-like Flash chips onboard, making it sort of an hybrid between a mechanical hard drive and SSD. How it works is that based on your usage, it will store the most often used data/programs on the SSD part, allowing for quicker boots and program launches. It’s not as fast as a SSD, but it’s certainly faster than a standard hard drive. $121 – Seagate Barracuda 7200rpm 1TB SATA 6.0Gbps ST1000DM003 – Based on the same series as the recommend 500GB hard drive, so it’s just as fast and reliable, but with a larger 1TB capacity. 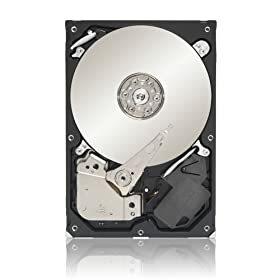 $190 -Seagate Barracuda 7200rpm 2TB SATA 6.0Gbps ST2000DM001 – Based on the same series as the recommend 500GB hard drive, so it’s just as fast and reliable, but with a larger 2TB capacity. Best for: An inexpensive way of protecting your data, where the performance of a standard hard drive is enough. Using two drives, the second drive is a live backup of the first one, being an exact copy of it. You lose a bit of write speed compared to a single drive (due to the overhead of copying the same data in real-time to two different drives), do gain read performance (Since the OS can read from both the drives) and you only get the capacity of one of the two drives (Two 1TB drives in RAID 1 =1TB total capacity). The main pro is that you get an higher level of redundancy/reliability compared to a single drive. If one drive fails, you do not lose data, you are still able to use the PC, but you will need to replace the drive and rebuild the RAID array before regaining redundancy and data loss protection from RAID 1. Best for: When performance and data protection are both crucial. RAID 0+1 or 10 basically is a combination of RAID 0 and 1. – The capacity of two drives. – Redundancy, so if a drive in any cluster, or two drives (one from each cluster) fails, you do not lose data, you are still able to use the PC but just like RAID 1, you will need to replace the drive and rebuild the RAID array before regaining redundancy and data loss protection. – Top-notch performance, since the data is spread across two clusters of two drives (Each cluster being basically a RAID 1 array), basically combining the read and write performance of two logical drives (each RAID 1 cluster) into one ultra-fast array. Crucial SSDs offer great performance while still offering great reliability, with less than 1% failure rate, according to hardware.fr. Note that I do not recommend Crucial SSDs for RAID setups, as their performance can degrade pretty badly over time when used in RAID. Best for: When you need the OS, applications to load much faster and when performance is your absolute priority. Intel SSDs offer lower performance than Crucial SSDs and the other market leading SSDs, but Intel SSDs offer the best track record when it comes to reliability. Mind you, their performance is way better than hard drives. Also recommended for RAID setups, as their performance do not degrade over time when used in RAID. Network Attached Storage means that you can attach the unit to your network or straight to your PC via LAN, allowing for access through the network and high transfer rates. Note that these do not include hard drives, you’ll have to buy them yourself. You can either go with the Seagate 3.5″ hard drives recommended above or pick other hard drives, as you wish. I invite you to read the Best SSDs and HDDs For Your Money article to figure out which hard drives to pick. $150 – Synology Disk Station DS110j Diskless System 1-bay NAS Server – Supports one hard drive. $297- Synology DiskStation DS211 2-Bay (Diskless) Network Attached Storage (NAS) – Supports two hard drives. $460 – Synology DS411 Diskless System 4-bay NAS Server – Supports four hard drives. $492 – Synology 5-Bay (Diskless) DX510 Plug-n-Use Expansion Unit for DS1511+ NAS – To be used as an extension to the DS1511 unit above. ioSafe external drives are encased in a case that’s fire and water proof. You also get one or five years of data recovery service that’s included depending on the model that you pick. All of them support USB 3.0 for high transfer rates. If you need a large capacity external solution, the $1207- Buffalo Technology DriveStation Quad 12 TB (4 x 3 TB) USB 3.0/eSATA – offers 12TB over four drives and can be accessed via USB 3.0 or E-SATA. Backups: Because all hard drives and SSDs are prone to failure! Remember: No matter are reliable they can be, all hard drives and all SSDs are prone to failure, which is why you should consult the following article, for more backup solutions, including software: Have a Backup System that you can rely on! This drive is able to read and burn CDs and DVDs. Silent (Except when it spins up to full speed obviously), compatible with all major formats including DVD-RAM. The motherboard includes two SATA cables (One will be used for the hard drive and one for this DVD Burner), so no need to worry about cables. Also, seeing as DVD Burners are often go out of stock lately, here are a two alternatives that you can use to replace it. All are SATA based. If you’d like to watch BluRay movies or TV shows, or burn CDs, DVDs or Blu-Ray disks, this $70 – LG SATA 12X Blu-Ray Burner will do the job. As far as I know, you still require a specific software to playback Blu-Ray disks on a PC. Based on various reviews and feedback on various forums, PowerDVD 9 Ultra is the software that I recommend to you. It is fully compatible with Windows 7 and shouldn’t give you any problems. For only $70, the Cooler Master Silencio 450 is a great choice for a low-noise Workstation. Cooling wise, this case includes two low-noise 800rpm 120mm fans. You can also add an additional 120mm case fan on the side, to improve cooling for your video card(s) if you wish to. The best part of it and the reason that I recommend it for a low-noise Workstation, is that the side panel and front door come with soundproof foam, reducing vibration and noise coming from the case. On the front of the case, you have one USB 3.0 port, one USB 2.0 port as well as a SD card reader. It also supports the longest video cards (i.e. Radeon HD 6990) with its removable hard drive cage, supports a 2.5″ drive (e.g. SSD or hybrid hard drive) and has dust filters. $140 – Antec P280 – The Antec P280 is the go to case when it comes to noise-reduction. $100 – Cooler Master Silencio 550 – RC-550-KKN1 – A step-up from the Silencio 450, with even more noise-reduction foam and a few additional features. $143 – Corsair Carbide 600T Black – While this case does not feature noise-reduction foam, it does include a fan controller and is another great alternative. $160 – Corsair Carbide 600T White – Same case as above, but in white. Quite an unique look, loved by some. $153 – Corsair Obsidian 650D Aluminum – A beloved case by many enthusiasts. $100 – Fractal Design Define R3 Silver – Another great case with noise-reduction foam. $110 – Fractal Design Define R3 Titanium Grey – Same case as above, with a different color. $110 – LIAN LI PC-8NW – LIAN LI is known for their craftsmanship quality and their aluminum cases are amongst the most beautiful available on the market. 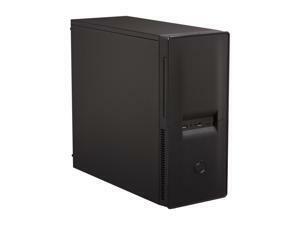 $110 – LIAN LI Lancool PC-K9B – Another aluminum case by LIAN-LI, slightly different from the one above. This power supply has a maximum power output of 520W, not that should rely only on this information only as I often point in posts such as Warning: 6 Surefire Ways of Blowing Up Your Computer Due to an Inadequate Power Supply. More importantly, it can output a maximum of 40A on the 12V line, one of the most important factors when it comes to choosing a power supply. Best of all, it is 80 PLUS Bronze certified, meaning that it’s always at least 82% efficient, resulting in less heat, more silence and a lower electricity bill for you, compared to a less efficient power supply. Note that unlike Gaming PCs, the figures here are based on power requirements, not on power consumption, because I wanted to allow for more overhead with Workstation Builds, as they have to be more reliable and are often on 24/7. This also allows for greater efficiency, since most power supplies are more efficient at a 50% load compared to say, a 80% load. For Workstations, I recommend an overhead of 150 to 200W for the power supply, to ensure reliable operation over the years, as the power supply components age and lose output capacity. The recommended power supply will have no problem handling basic upgrades, such as CPU, RAM and additional drives upgrades. If you decide to get a dedicated powerful video card (Geforce GTX 560, Radeon HD 6xxx or Quadro 600/2000/4000, I would recommend looking into a quality 550-650W power supply, such as the ones that I recommend below. $91 – FSP AURUM GOLD 600W 80PLUS Gold – If you want an highly power efficient Workstation, get this power supply, which is 80 PLUS Gold certified, meaning that it’s at least 90% efficient at a 50% load, resulting in less wasted power and less heat coming from your power supply. Note that it is not modular. $90 – Seasonic M12II 620W 80PLUS Bronze Modular – My recommendation if you’re getting a powerful dedicated video card. Made of high-quality components, from a brand well-known for its reliability, comes with a 5-year warranty. $125 – Seasonic X-560 SS-560KM 560W 80PLUS Gold Modular – If you want an highly efficient 80PLUS Gold power supply that’s also modular. $145 – Seasonic X-650 650W 80PLUS Gold Modular – If you want an highly efficient 80PLUS Gold power supply that’s also modular and that can also handle upgrades. I highly recommend getting a UPS, especially if you’re in an area with a lot of thunderstorms or in a house with older electric wiring. If you lose power, the UPS will keep your PC running for a few minutes, enough for you to save your work and to properly shutdown your PC. The recommended UPS below also protects against electrical surges, protecting your PC and other equipment plugged into the UPS, from dangerous power surges, which are one of the main causes of defective computers. PC components are extremely fragile and the last thing that you want is to plug all that expensive equipped straight in a power outlet. You want it plugged in a surge protector (featured in the UPS units below), which will protect your expensive equipment. The $105- APC 700 VA 450 Watts 6 Outlets will be fine for Tier 1 or 2 as they are. Keep in mind that the UPS also has to power your monitor. 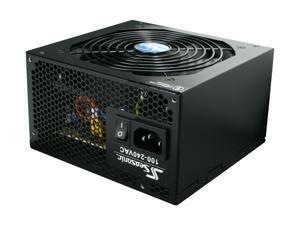 The $142 – CyberPower 1350 VA 810 Watts 8 Outlets is my recommendation if you get components upgrades that draw more power. To keep your CPU temperatures lower, which improves the reliability of your PC and the longevity of your CPU and to keep noise at a minimum, something that the stock cooler can struggle to do at times, especially during prolonged work sessions, or in a warm room, I recommend the Cooler Master Hyper 212 Plus. It remains the heatsink that offers the best bang for your buck, offering great cooling performance and low-noise for only $21. If you intend to overclock, the Cooler Master Hyper 212 Plus recommended above will be able to handle the extra thermal load but will become more noisy. If you want a CPU Cooler that can handle the extra thermal load from overclocking, without becoming more noisy, the $60 – NZXT Havik 140 Dual 140mm fans CPU Cooler is my recommendation. The recommended CPU Coolers already include high-performance thermal compound, so no need to buy any. Integrated with the motherboard, this sound card will handle many different sound setups, including headphones, a microphone and more. While integrated audio on a PC used to be absolutely horrible, it has gotten much better in the last few years, thus why I have no trouble recommending it. Seeing as there are a variety of audio setups, with a variety of jacks and the like, I invite you to simply pick the best card, according to your needs. Make sure to double-check the specifications and pictures, to see the Inputs/Outputs as well as included accessories. Integrated on the motherboard, this network adapter will allow you to access your local network and Internet. The budget only considers hardware. You may be able re-use a previous license, go with an open-source OS such as Linux or , if you’re so inclined and are aware of what you’re doing, use torrents. You may be able re-use a previous license, go with an open-source OS such as Linux or, if you’re so inclined and are aware of what you’re doing, use torrents. Despite Linux gaining more and more support, Windows still is the platform of choice for compatibility at the moment. Considering that you’ll have 8GB of RAM or more, you’ll need a 64-bit version, as 32-bit is limited to 4GB of memory for the entire system, which is not enough now, nor in the future if you decide to upgrade. Windows 7 is by far better than Windows Vista, looks better, more functional, less annoying, consumes less resources and brings DirectX 11 to the table. Windows 7 Home Premium: The basic edition, with all the looks, most of the functionality and DirectX 11. Windows 7 Professional: If you want the virtual XP mode, you’ll need at least the Professional edition. Also required if you want to backup to a network, using the built-in backup mode in Windows. Also good to know: You’ll need at least the pro version to take advantage of Remote Desktop Connection. Windows 7 Ultimate: To help protect data on your PC and portable storage devices against loss or theft with BitLocker and to work and switch between 35 languages. The OEM version allows you to only install it once on a computer. You cannot transfer the license to another computer in the future and you do not receive support from Microsoft. It’s the same type of license you get when you get Windows on a desktop or laptop that you buy from Dell, HP and such. It’s less expensive, but gives less flexibility. Ideal if you intend on keeping your computer for many years. The Retail version is the full version, which allows you to transfer the license to another computer in the future and you can call Microsoft if you need any form of support. 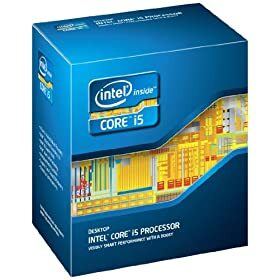 Ideal if you intend on upgrading/changing your computer down the road. Other than that, you get the same features on both, only the license differs. The price between the two differs obviously. A lot of people these days boot more than one OS. Linux is a wonderful choice: powerful, cool, and cheap. Take your pick of distribution and have fun! For Fedora, Ubuntu, Debian, Slackware, and Mandriva, try Distrowatch.com, Cheapbytes.com, LinuxQuestions.org or one of the many others. While Linux does not offer the wide compatibility of Windows with video games, gaming on Linux is still possible, through projects such as Wine, Cedega and Crossover. For more on the topic of Linux Gaming, I invite you to read this excellent article from AnandTech: Linux Gaming: Are we there yet? I took my sweet time for this latest version of the Entry-Level Workstations, for I wanted to offer you the absolute best builds that I could deliver. I wanted it to offer a great level of performance and to be as reliable as possible for the price. Don’t agree with my choices? Have a suggestion to improve this build? However, I do realize that even if I took a year to write this guide, it wouldn’t be perfect and it wouldn’t cover every possible software/scenario. This is why if you don’t agree with one or several of my choices, think that you can come up with a way to improve this build, have requests, comments, etc. by all means, please let me know by leaving a comment below. You might just be right and upon further research, if I agree with you, I’ll update the build as necessary. Would you like to see an additional feature? Let me know. One or several parts are out of stock? Drop by our forums and let us know. An helpful forum member, or myself, will recommend to you an equivalent alternative and I do my best to quickly update the build. What’s your opinion on this build? Did you find a typo or error in this article? This Build includes all the parts/cables that you need and it was double-checked to ensure compatibility. Simply order your parts, set aside some time, grab a screwdriver and build your own personal PC. No worries, we’ll (the HR community) be there to assist you if you have questions or need help. High-End Workstations: Dual CPUs, 32+GB RAM, Dual SSDs, Nvidia Quadro+Tesla, etc.